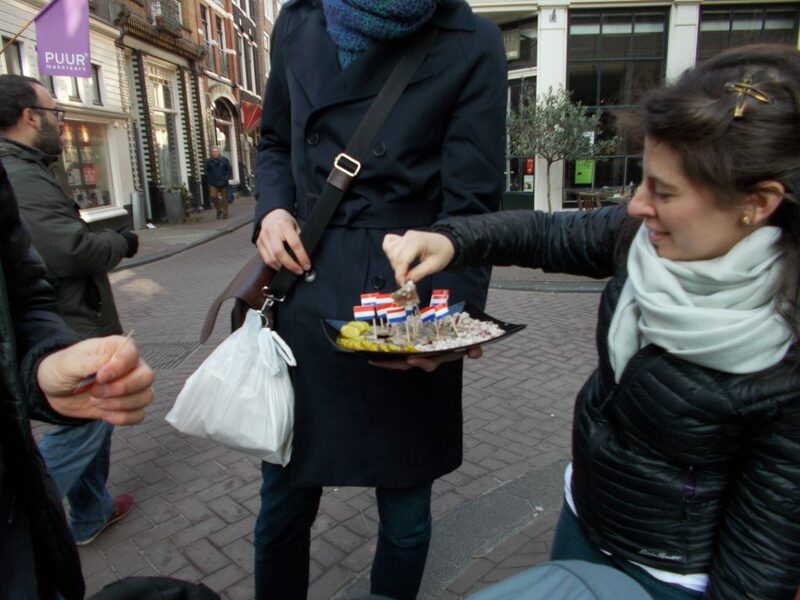 My Eating Amsterdam guided tour was scheduled to start a few hours after my twelve hour overseas flight landed. I have to admit I was questioning the wisdom of this as I walked towards our meeting spot at Café Papeneiland in the Jordaan neighborhood. The Jordaan area, once populated by immigrants and the working class, has undergone a transition to a trendy, more upscale area occupied by artists and the middle class. 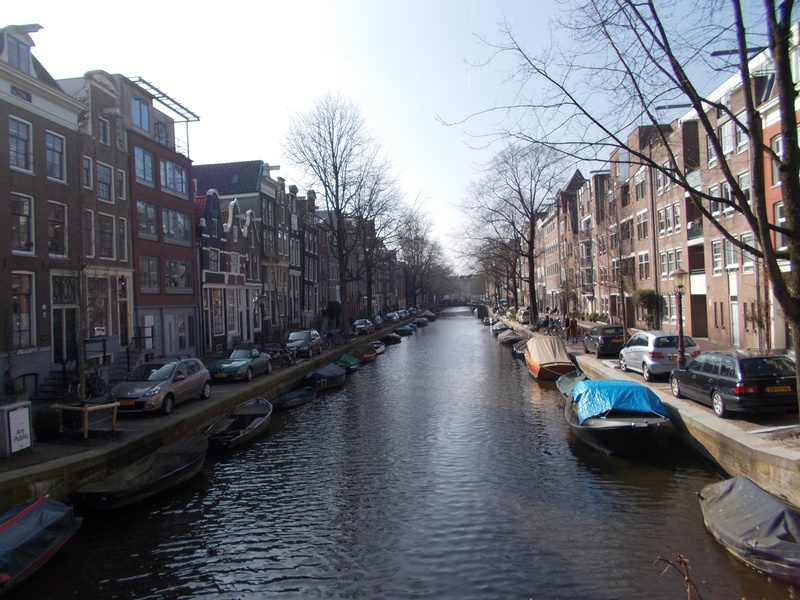 It is a great area for strolling along smaller canals, shopping at open air markets, stopping for coffee and taking in the Amsterdam scene. 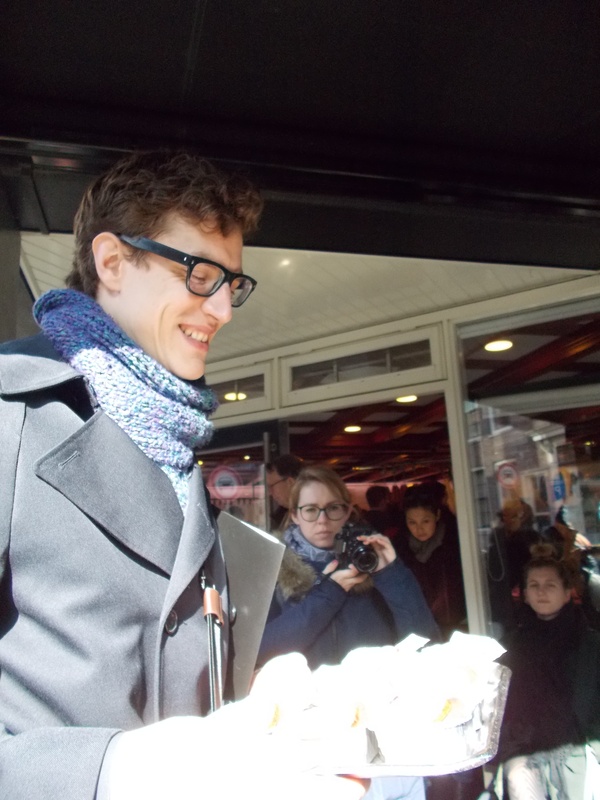 I arrived for the Eating Amsterdam about fifteen minutes early and was greeted by our tour guide for the day, Jelte. Shortly after out 10:30am start time our group of ten was ready for our first indulgence of the day, apple pie at Café Papeneiland. Café Papeneiland, opened in 1642, is one of the traditional Amsterdam “brown” cafes. I have heard a couple of theories about why they are called brown cafes; the furniture is all brown, everything used to be tinged with brown from the tobacco smoke. However they got their name, I found brown cafes in Amsterdam to have tasty food and a unique ambience. Back to our apple pie. Supposedly we were given a half serving. After our pie, served with tea or coffee and whipped cream, we could not imagine that the regular serving was twice that size! 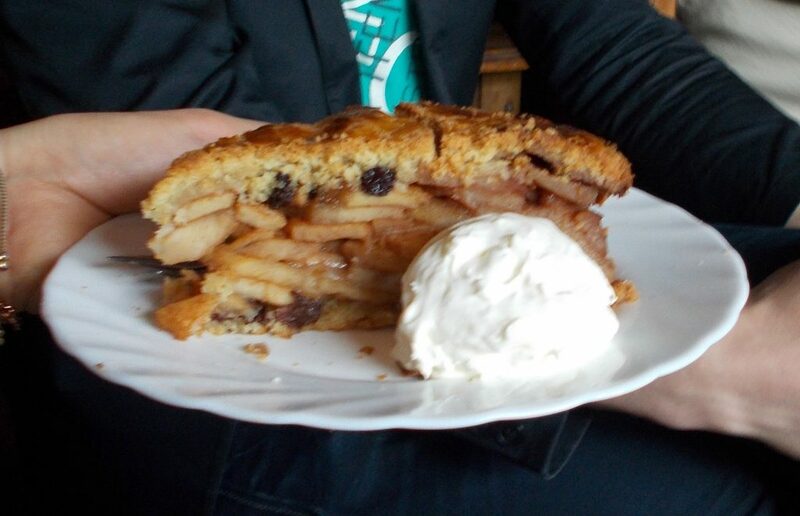 The pie did not resemble what we call Dutch Apple Pie in the United States, a one crust pie with a crumble topping. Everywhere that I saw apple pie in Amsterdam it more resembled traditional U.S. apple pie except that it was baked in a much deeper pie plate and the crust was darker. It was truly almost the best apple pie I have ever had. My ex-mother-in-law, Ruth Hamstad, keeps the prize for the best apple pie ever. As we walked towards our next destination, Swieti Srangan, Jelte filled us in on the history of Surinamese food in the Netherlands. 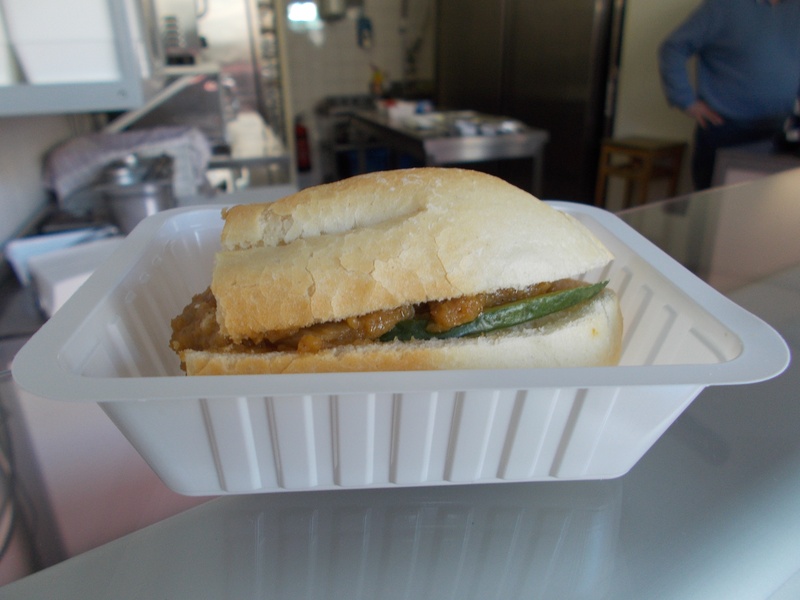 In this small neighborhood take-away shop we sampled broodje pom and baka bana. There are three central ingredients in pom; chicken, citrus juice and pomtajer (the underground central stem of a plant indigenous to Surinam). Broodje in Dutch roughly translates as sandwich. The pom has an unusual but pleasing flavor. 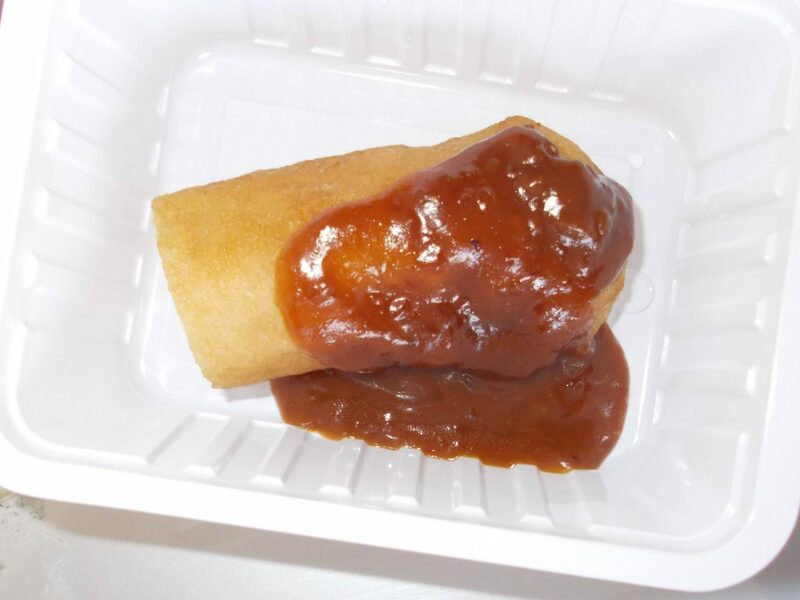 Baka bana is a fried plantain with satay sauce. Next we walked back the way we had come and further down the canal to the butcher shop Louman Jordaan founded in 1890. 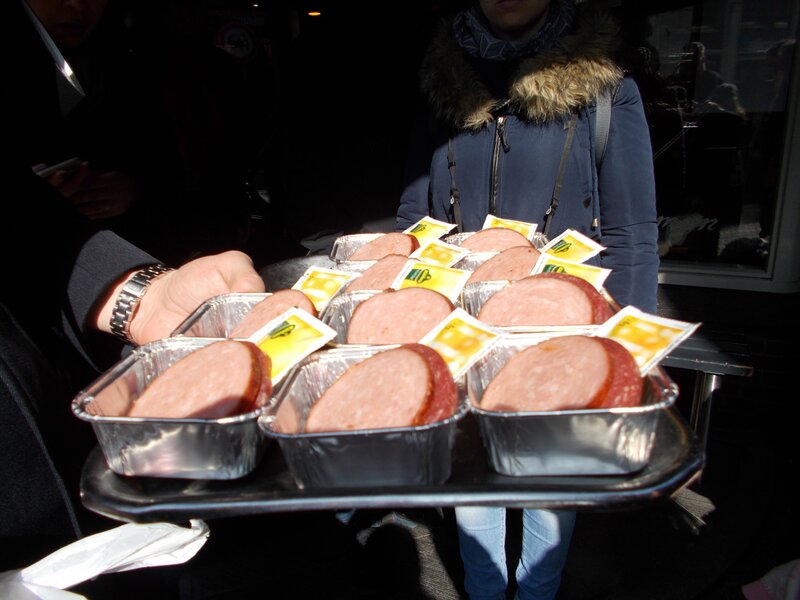 Here we tasted ossenworst and grillworst sausages. Both were delicious served with a little mustard. Jelte kept us entertained with the history of the area we were walking through and also pointed out places of interest that we might want to visit on our own later. 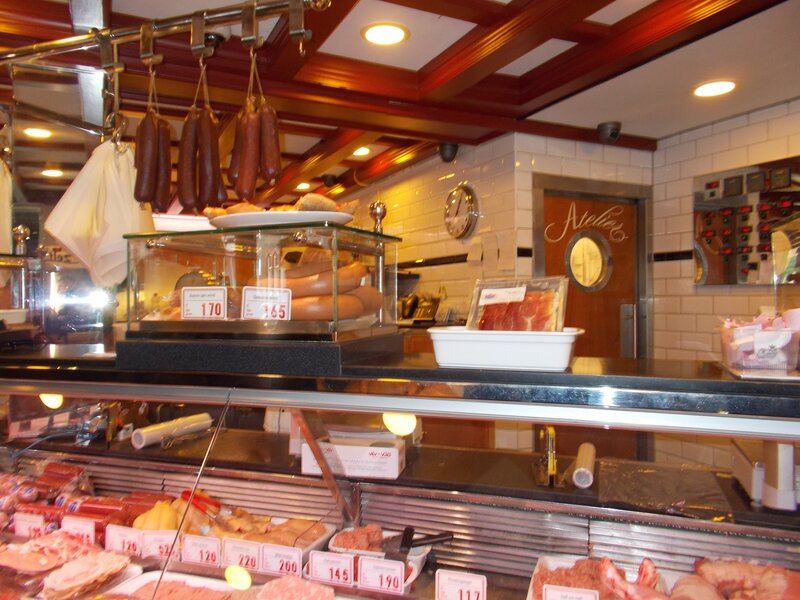 Soon we were at Urker Viswinkel, the next stop on our Eating Amsterdam tour. Our first sampling was salted herring. A few people in our group were hesitant to try the herring, but the consensus was that the flavor combination of the salted fish, onions and pickles was quite good. Our next fish almost disappeared before I could get a photo. 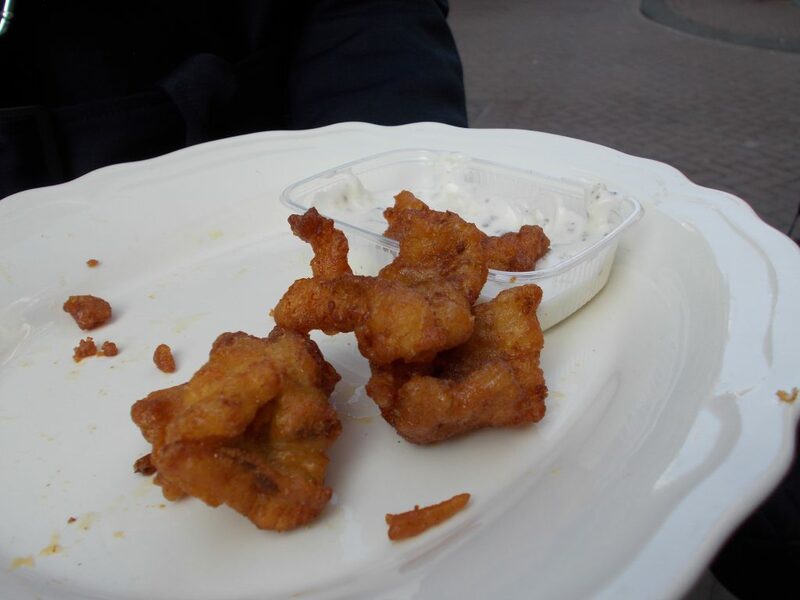 We were told it was the secret combination of spices that made this fried fish so irresistible. After meat and fish we were ready for more dessert! 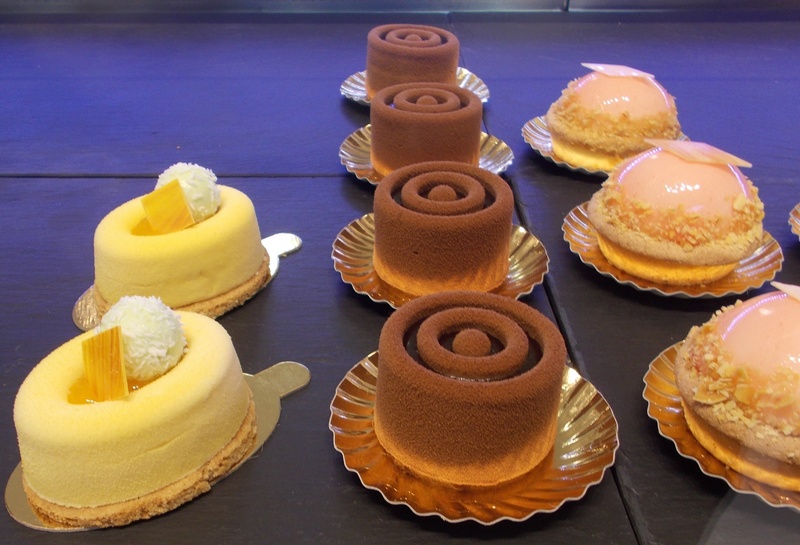 The Patisserie Anesta serves an array of sweets that are works of art. 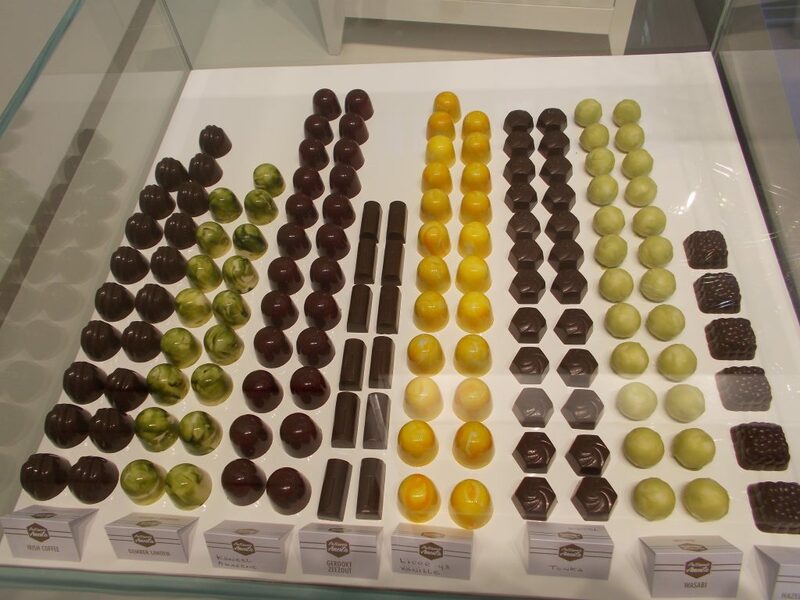 Take a look at the assortment of candies. 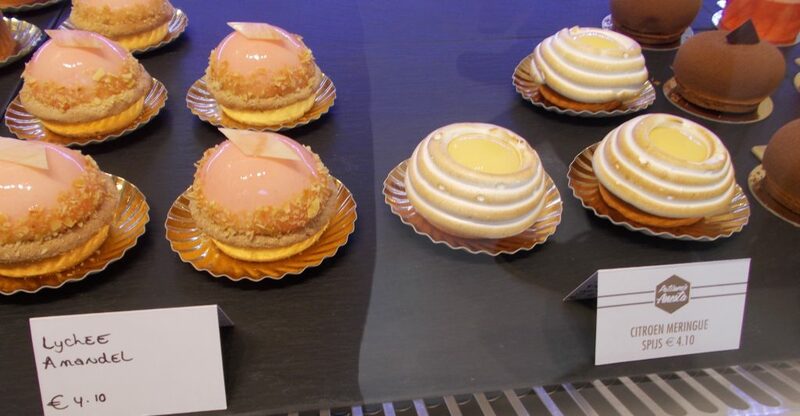 The pastry that really caught my eye was the Citroen Meringue. My plan was to come back and taste that another day. But, alas, I never did get back there. We sampled Eggnog Pastry, as delicious as it was beautiful. 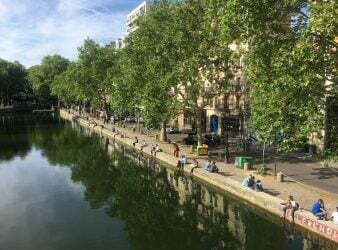 After indulging at Patisserie Anesta we headed towards the water where we boarded a vintage canal boat for a canal tour and, you guessed it, more food! 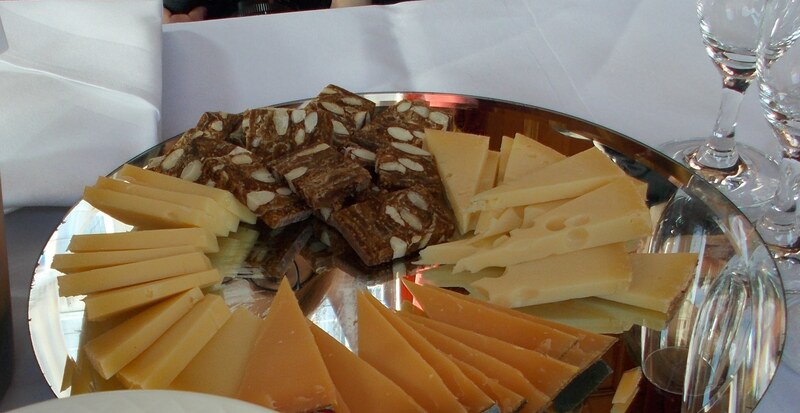 Our captian became tour guide as we made our way through the canals while Jelte prepared our first onboard tasting, a cheese plate with Swiss, Gouda and aged Gouda cheese served with almond fig bread. We had a champagne toast to accompany our cheese. Next, we pulled over to the side of the canal where are next food was delivered from above via a large hook. Beer accompanied our plates of meatballs and bitterballen. I liked the meatballs. However, I am not a fan of bitterballen. I had tasted it once before in a Dutch café in Portugal. 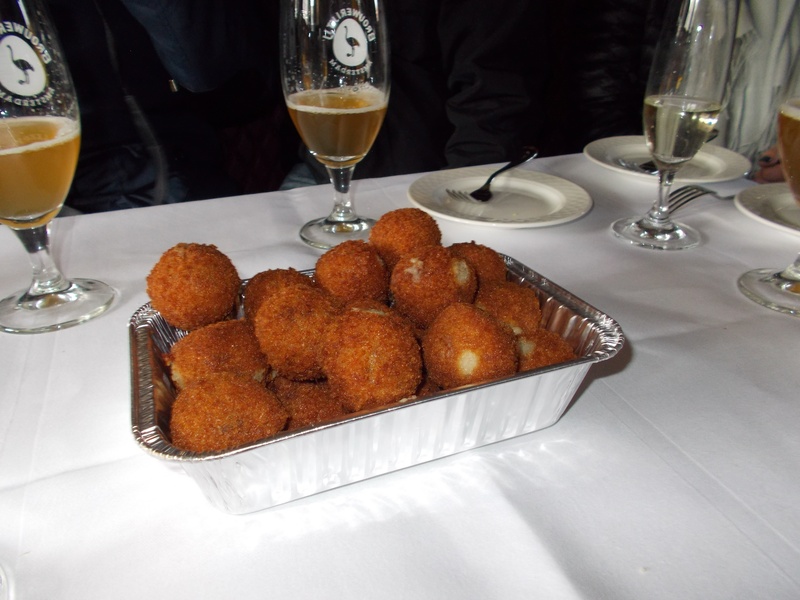 I thought maybe I would have a different opinion of bitterballen actually prepared in the Netherlands. That was not the case. However, that is clearly a personal opinion and many others in the group were delighted to have seconds and even thirds. After leaving the boat we headed for our last stop of the day, Café de Prins. 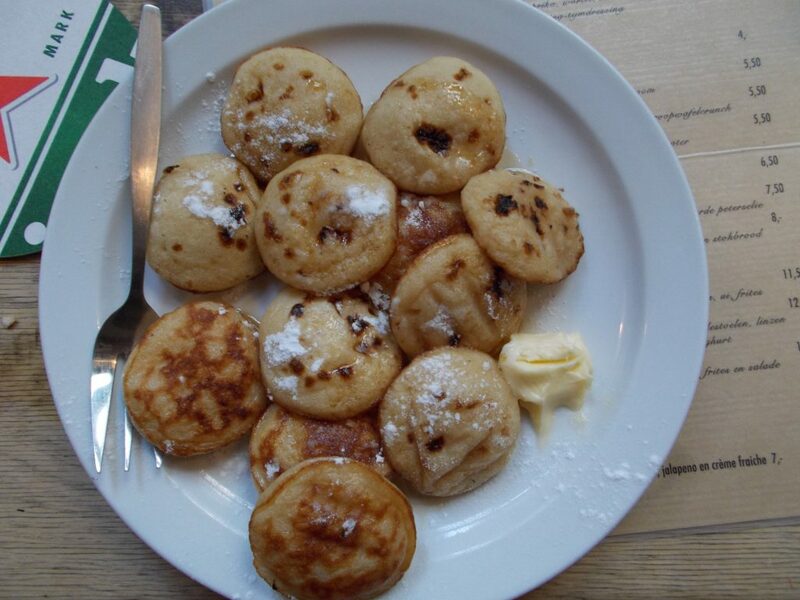 Here we were served poffertjes accompanied by our choice of tea or coffee. When we saw these plates approaching we thought they were going to place two plates on the table for the ten of us to share. Instead we each got an entire plate of these small pancake-like indulgences. They are made with yeast and buckwheat flour and are lighter and fluffier than a traditional American pancake. As I made my way to my rented apartment for the next three days I decided that the Eating Amsterdam walking tour was actually a perfect choice for spending the day after a long overseas flight. The fresh air and stimulation of our knowledgeable guide and the company of the other tour participants had taken my mind off of how tired I was. It also revived me enough to stay up until a reasonable bedtime so that I could start off the next day on Amsterdam time. In addition, I was fed and given an orientation to Amsterdam. 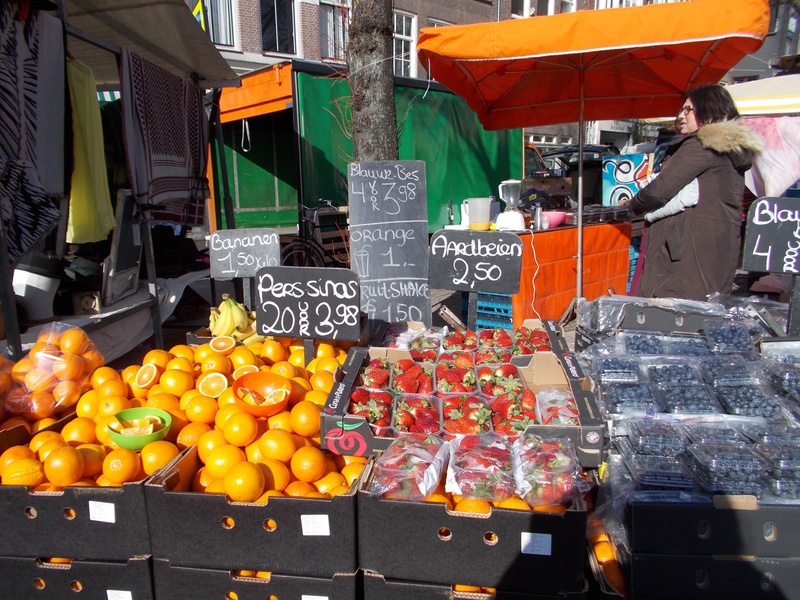 Thank you to Eating Europe for hosting me on the Eating Amsterdam.